Coastal wetlands are shrinking rapidly due to land-use activities. Accelerated sea-level rise (SLR) associated to the warming climate is also affecting coastal wetlands, particularly in islands with limited coastal plains. We analyzed coastal wetland changes in Puerto Rico by applying the Sea Level Affecting Marshes Model under two scenarios by 2100. We also analyzed mortality and recruitment in a freshwater swamp dominated by the tree Pterocarpus officinalis Jacq. in the context of landscape saltwater-intrusion and drought. Our results indicate mangroves and estuarine water would replace the areas currently covered by other saltwater and freshwater wetlands, and saltmarsh would encounter the most relative loss among wetland types. A moderate SLR of 1 m by 2100 allows expansion of mangroves but would decrease saltmarsh and freshwater wetlands. A 2-m SLR would decrease the distributions of all vegetated wetlands, mostly replaced by estuarine water. In the P. officinalis forest, saltwater-intrusion and drought increased tree mortality during 2003–2015 compared to 1994–2003. Saltwater intrusion had a more significant negative effect on tree recruitment than on mortality in this Pterocarpus forest. 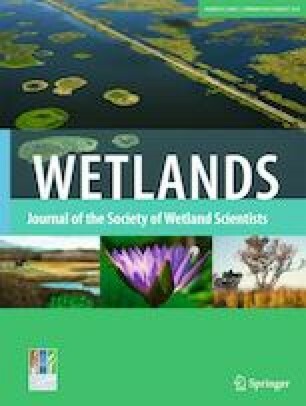 Coastal wetlands are facing challenges to their persistence at current locations due to accelerated SLR, limited coastal lands, and a modified hydrological regime. The online version of this article ( https://doi.org/10.1007/s13157-019-01138-x) contains supplementary material, which is available to authorized users. 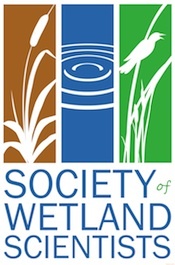 The study on coastal wetlands distribution and migration was funded by the grant from the National Aeronautics and Space Administration Land Cover / Land Use Change Program (NNX12AE98G). Chao Wang (UPR Río Piedras) provided assistance with land cover mapping. The study on the Pterocarpus wetland was conducted in collaboration among the University of Puerto Rico (UPR) and the USDA Forest Service International Institute of Tropical Forestry (IITF). Assistance with field measurements of the plot was provided by I. Vicéns (IITF), L. O. Ortiz-López (USFS Southern Research Station-Forest Inventory & Analysis), K. D. Alemar-Alonso, K. A. Rivera-Muñiz, and J. Runser-Cruz, E.G. Peña-Martínez (UPR Bayamón), and D.D. Clark (Stevenson University) through a UPR REU (NSF DBI-1062769). Access to the Pterocarpus wetland at the Sabana Seca North Tract site in Toa Baja was granted by the Public Works Division of the US Navy and Maribel Hofmann, Forest City Inc. The long-term study on the Pterocarpus wetland was supported by NSF-MRCE, NSF-CREST, NASA-IRA, AGEP, US Navy, US Fish and Wildlife Service, and the US EPA-Science to Achieve Results (STAR) Program, Grant (U-91598501). The revision and suggestions from T.L. Enz, B. Murry, J. Wunderle, A. E. Lugo, and two anonymous reviewers improved this manuscript. The findings, conclusions, and views expressed in this manuscript are those of the authors and do not necessarily represent the views of or endorsement from the USDA Forest Service.